London, 30 Nov - Inflation in Iran has risen nearly 35% in the past year, according to calculations by the Statistical Center of Iran published on November 22. The SCI report noted that the highest increase in prices was for food and drink, rising 4.3% in the past month and a massive 48% over the past year. Housing and fuel were the smallest percentage increase at just 20%, but they make up almost one-third of expenses for the average household. The government-run statistics unit’s monthly report on Iran’s consumer price index, which compares average prices for goods and services, also revealed that the 34.9% inflation rate is hitting lower-income families and rural communities the most. Rural households were typically spending 37% more on consumer goods compared with last year, as opposed to 34% for urban households. The fact that the rising cost of food is affecting rural households more is a strange situation that could foretell the worsening of this crisis. Usually, the cost of living is lower in rural areas than cities, but this new information shows that the crisis is out of control and is likely to drive more people out into urban areas. The fact that food has the highest-rising price of any consumer good in Iran shows that the working and middle classes will be worst affected, as the upper classes can generally afford to spend more on food by sacrificing luxuries. In fact, some 60% of Iranians are suffering heavily because of this, but research shows that 30% of Iranians, i.e. those heavily integrated into the Iranian Regime, are suffering few ill-effects at all. 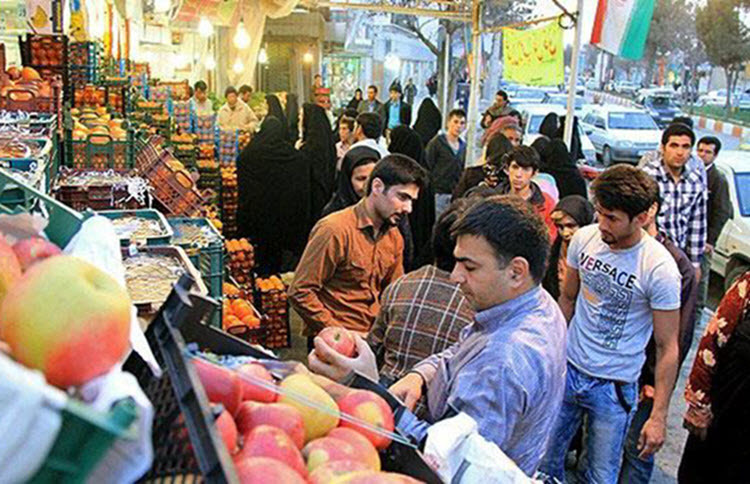 For 10% of Iranians, the situation is dire and they are being forced to buy less food. When he first came to office in 2013, President Hassan Rouhani promised to bring inflation down to 25%, which is still an incredibly high rate, and then on the campaign trail in 2017, he promised to bring it down to single digits. Both promises have been broken so far, and it is unlikely that they will be fixed anytime soon. The website Rouhani Meter, which keeps track of his promises and whether they’ve been kept, estimated that if the monthly inflation rate remains at 2.5%, the annual rate of inflation reaches 27-30%. Simply, it seems obvious that the promises will not be kept and that the only way to improve the economic situation in Iran is to remove the mullahs once and for all.